"From his Indian origins he takes spirituality and a meditative mind that he likes to cultivate coupled with his interest in Eastern philosophy. 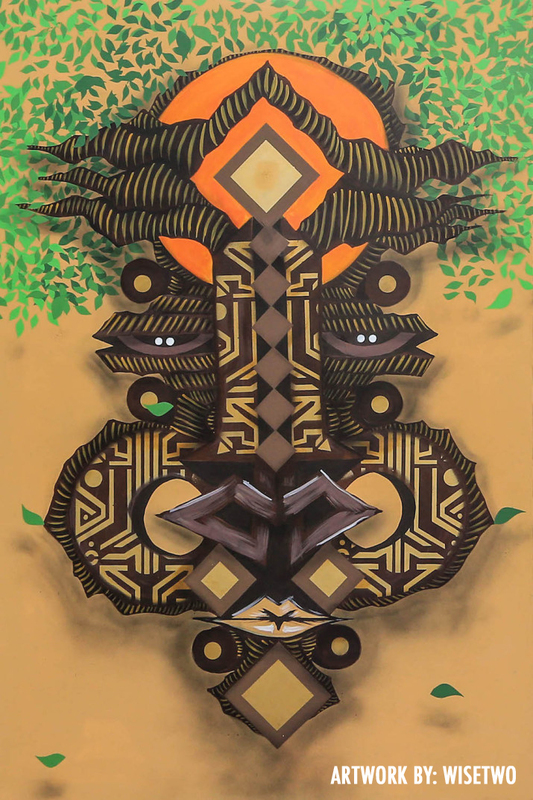 From his native Kenya, he takes a deep love for traditional and ancestral cultures of sub-Saharan Africa." I find myself getting lost in the colors, layers and of his work. He is on Facebook too. His webpage is: artofwisetwo. Go take a look! My Artwork Is Hanging at the Valkarie Gallery!